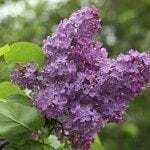 When do I trim a lilac bush and how do I trim a lilac bush? All spring-blooming shrubs should be pruned after blooming and no later than July 1st (January 1 in the southern hemisphere). Remove up to 1/3 of the oldest branches to the ground and the spent blooms. Prune out many of the thin branches that spring up in the center and other branches that grow toward the center of the plant instead of outward. This improves air circulation which helps to reduce the risk of powdery mildew. 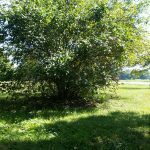 Avoid giving shrubs a "haircut" - trimming the tips of branches to control height.